FBP V17.1.2 has been released with various fixes and a few new features. New: Added “Year in Review” posts to the Hide “Shared a Memory” newsfeed filter. New: Moved the Hide “Trending Topics” and Hide “Ticker Bar” options to “Hide Right Column Links” section of the FBP options screen. New: Option to hide “Moments” link in left column (the option is located under the Hide Left Column Links section of the FBP options screen) Please note, it seems this option is not working for some people. If that is the case, try hovering your mouse pointer over the link then clicking the cogwheel, then select the “remove app” option. New: Hide “Is Typing a Comment” option, hides the little message that appears in the comments section saying “someone is typing a comment” or “a friend is typing a comment”. New: Added the YouTube app to FBP’s default app whitelist, so youtube videos shared directly from the Youtube website (which get posted via the Youtube Facebook app) will no longer be hidden by default. New: “Show Image Classifications on Hover” option, (located under the “Photo Stories” section of the FB Purity options screen. Turning this option on will display the image classifications that Facebook’s Artificial Intelligence has automatically assigned to the image when you hover your mouse pointer over the image. (Note this only works on single image posts, and if no classifications have been given to the image, hovering your mouse pointer over the image will not do anything) This is useful if you wish to know what words to put into the Custom Image Content Filter box to hide specific image types that are not available as preset image content filtering options. Fixed: Some Background Colour issues, if you have set a background colour with FBP. Fixed: Large font for short statuses: If a status is posted and it is under 85 characters long, Facebook increases the font size of the status. This release fixes that, so it returns all statuses to the same font size. Fixed: Various Hide Left Column Link options for the new left column design, which some people have been lumbered with. Now that FBP is back in the Chrome Webstore, if you have installed the FBP Chrome extension via the “Inline Install” method (by clicking the green “Install F.B. Purity” button on the FBP Install page) or directly via the Chrome Webstore, you should now receive automatic updates, though you can force an update by turning on “Developer Mode” on the Chrome extensions management page, then clicking the “Update Extensions Now” button (make sure you don’t have any facebook tabs open, so Chrome can unload the existing version first). Not everybody has new the left column design (it has different and fewer section headings than the normal design, which include “Shortcuts” and “Explore“. If you have previously hidden the “Apps Section” when you had the old left column design, you should know that this actually hides the “Explore” section in the new left column design. The reason for this is because Facebook re-used the same CSS identifier for the new section. So if you are missing any particular links in the left column, make sure you have un-checked the Hide “Apps Section” option. If you have the new Shortcuts Section, its basically similar to the old “Favourites” section, and can be edited to suit your preferences. There is an “Edit” link to the top right of this section, and clicking it brings up options for adding links you use frequently or hiding links you no longer want to be shown in that section. Important News about Facebook’s Interest Lists feature. 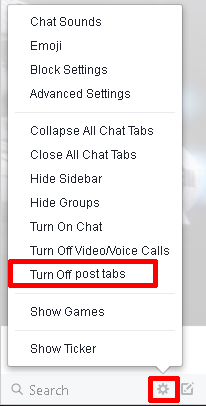 Facebook have decided to discontinue the “Interest Lists” functionality due to lack of use by Facebook users. This is why the Interests section no longer shows up in the left column. If you have saved links to any of the Interest Lists you have created, you should still be able to access those for now. Even if you haven’t bookmarked your Interest Lists, you may be able to recover the links to them by going to your browser’s History page and searching for facebook.com/lists that should highlight any of the Interest Lists that you used in the past, you should then bookmark them and perhaps add a folder to your browser’s bookmarks toolbar, then add the links to the lists into that folder for easy access. Another way to access your lost Interest lists is, if you know the name you called the list/s, put the name into the search box at the top of any Facebook page, and if you type the exact name of the list, it should show up as a search result. Some people are reporting that they can now add Page’s to the other type of lists (Friends Lists) so if you want to make new Interest type Lists, you can try using Friends Lists, but the difference is, apparently that you have to be friends with the people you want to add, and you have to have “Liked” the Pages you want to add to the list. 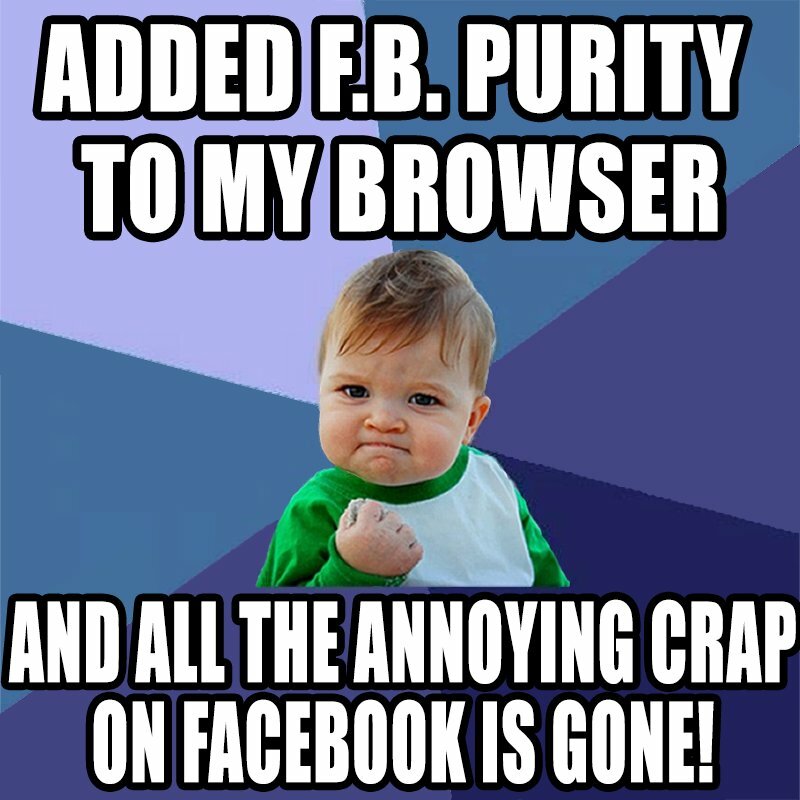 For those who don’t already know, FB Purity is a safe, free and top rated web browser extension for Google Chrome, Firefox, Edge, Safari, Opera and Maxthon. It lets you clean up the junk and customize Facebook the way you want it to be. It has many cool features, such as hiding all the ads, alerting you when friends un-friend you, letting you change the site’s colours, fonts and background image, it lets you stay on the “Most Recent” feed permanently and lots more. FB Purity has been reviewed and highly recommended in many places including the Washington Post, CNET, PCWorld, MacWorld, GetConnected etc. This entry was posted in Facebook, FB Purity and tagged clean up facebook, customise facebook, Customize Facebook, Facebook, facebook purity, FB, FB Purity, FBP, fluff busting purity, friend is typing a comment, hide ads on facebook groups, hide all facebook ads, hide facebook ads, hide facebook moments, hide facebook recommendations, hide is typing a comment, hide left column links, hide moments, hide ticker bar, hide trending topics, new left column design, show image classifications, show image tags, someone is typing a comment. Bookmark the permalink. 6 Responses to FB Purity v17.1.2 has been released with various fixes and a few new features. Any help here? Or is there a more appropriate place I can ask this question? I just want to say I LOVE FLUFF BUSTING PURITY! Thank you for all you do. I’ve donated once this year but I think I’ll donate again just because you are SO on top of the useless crud that Facebook makes us deal with. I love FBP and have had it installed for at least 2 years now – It keeps the rubbish off my laptop and lets me choose what I want to see. Only since yesterday I have noticed the ticker panel to the right of my laptop screen has changed. I had it “split” between seeing updates from friends and seeing who was on line (Turn On Chat/Turn Off Chat). I can no longer see anything other than who is online when Chat is turned on. If I turn it off I see nothing at all. It is not the zoom and I completely baffled. Wondered if anyone else found this annoying.